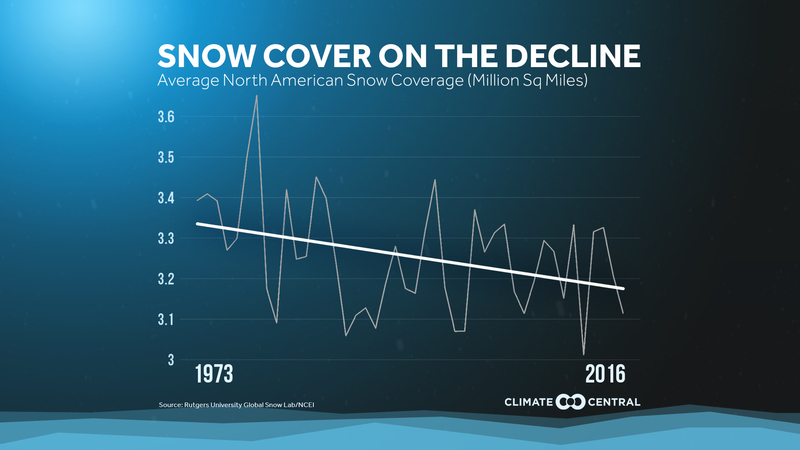 Methodology: Data is from Rutgers University Global Snow Lab obtained from NOAA NCEI. Each point represents the average over a year from July - June. Data begins in 1973 as it was the first year with reliable widespread available data.